Basem has 2 Apple Watch apps in the store that were available before the launch of the device and will soon launch his 3rd. 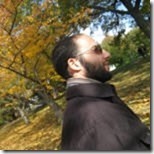 You can view his apps at http://zamzam.io. This entry was posted in Apple Watch, Essentials and tagged YapCast. Bookmark the permalink.